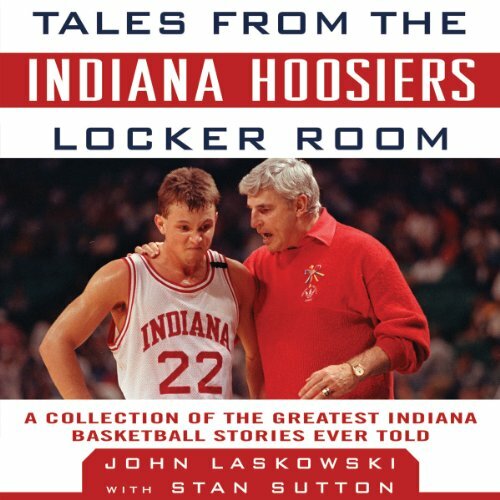 This installment of the Tales from the Team series from Sports Publishing focuses on the celebrated history of Hoosiers basketball. Fans of the series will know what to expect: thrilling story after thrilling story that made the revered team what it is today. Bolstering the invigorating collection of tales is the voice of Dan John Miller, an award-winning audiobook performer. Miller is also a musician, and his uncommonly acute sense of rhythm is manifested in his delivery. He has a practiced command of each syllable, perhaps a result of years spent singing on stage and an equally long tenure doing professional voice-over work. ©2003, 2012 Stan Sutton and John Laskowski (P)2012 Audible, Inc.